Tue, Feb 5, 2019, 12:24 pm SL Time, ColomboPage News Desk, Sri Lanka. Feb 05, Colombo: Former President's Chief of Staff Gamini Senarath has withdrawn the appeal filed in the Supreme Court challenging the verdicts of the three-member Special High Court in the case of misappropriating state funds. The appeal was taken up before the five-judge bench consisting of Supreme Court Justices Buwaneka Aluvihare, Sisira de Abrew, Priyantha Jayawardena, L.T.B. Dehideniya and Murdu Fernando this morning. President's Counsel Ali Sabry and Gamini Marapana, appearing on behalf of the petitioner, have requested the Supreme Court to grant permission to withdraw the petition. The President's Counsels requested the Court to grant permission to withdraw the petition while retaining the right to file a fresh appeal in respect of the jurisdiction of the three-member Special High Court bench. The five-judge bench accepted the request and gave permission to withdraw the appeals. 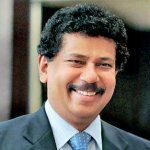 The Attorney General had filed the case against Gamini Senarath and three others under the Public Property Act for allegedly misappropriating Rs 500 million funds belonging to Litro Gas Lanka by investing in ventures including the Helanko Hotels & Spa hotel project, from 1st of February 2014 to 20th January 2015. The defendants had presented preliminary objections stating that the Special High Court does not have the jurisdiction to hear the case. Subsequently, the defendants had filed an appeal against two verdicts issued by the Special High Court rejecting the objections of the defense.